These days, a company that offers solutions does more than constructing machines. 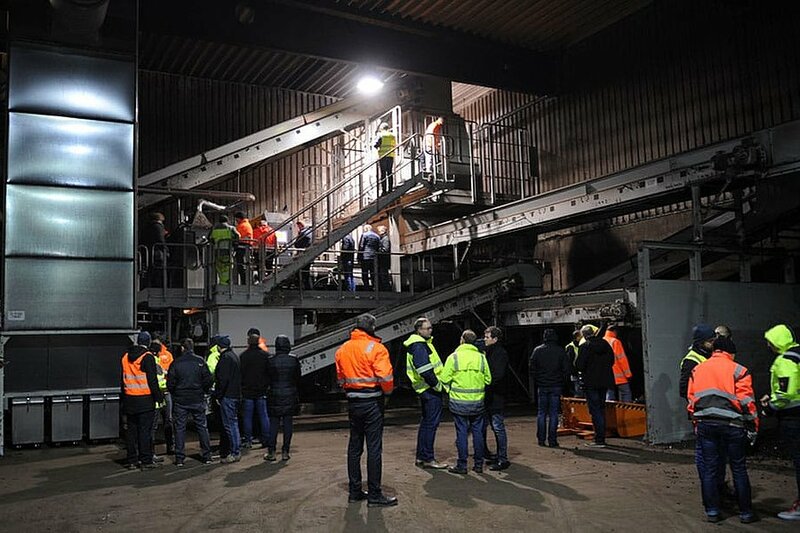 Sorting specialist STEINERT is closing 2018 with Best Practice Workshops based on real-life scenarios, where technological know-how and process knowledge are being shared at a national and international level. The workshops are spread over the 4th quarter and include hands-on training at customer premises and theoretical camps at headquarters. The Waste & Recycling division is focussing on commercial waste, biowaste and mixed construction waste. 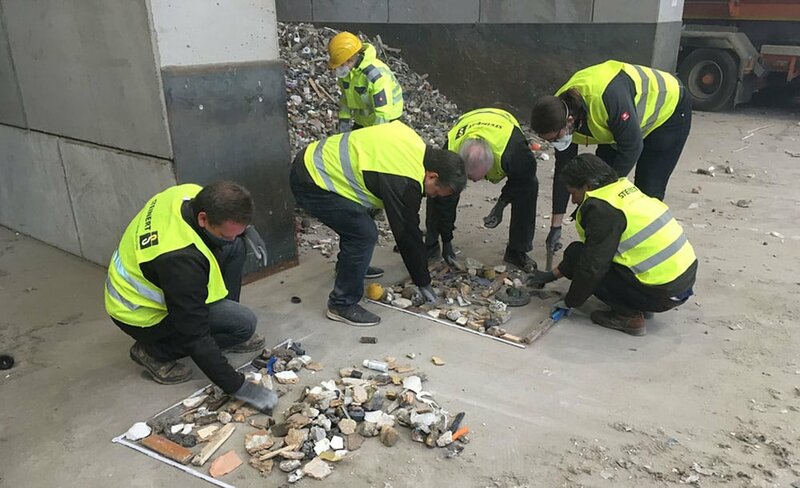 The national and international sales staff of the STEINERT Waste Division take a closer look at waste during their practical workshops. UniSort Black in use at KDM in Ratingen. 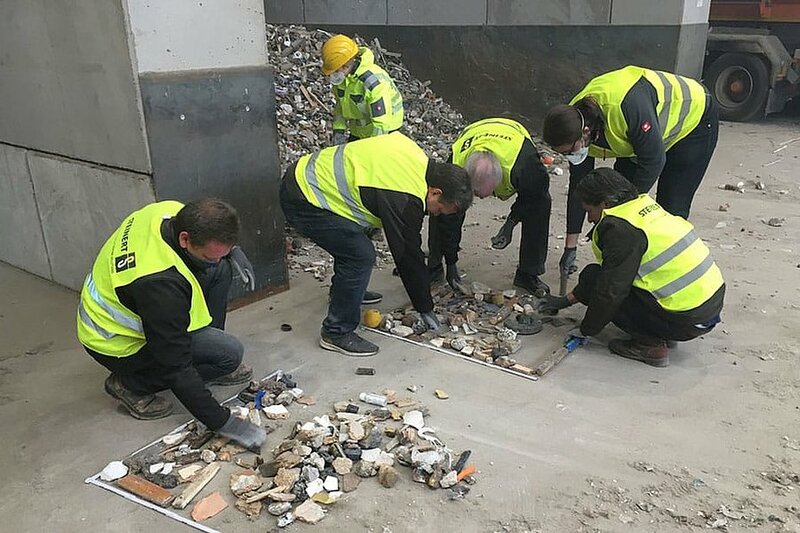 It sorts films, dark and black plastics, metals, broken glass, stones and ceramics from the green waste and structural material. 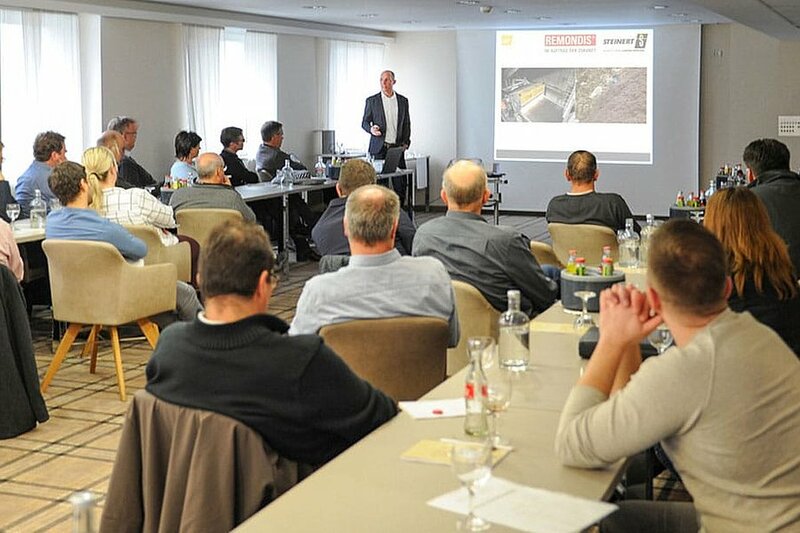 Best practice in cleaning green waste: Patrick Lindweiler presents NIR technology for cleaning green waste to the managers of the Remondis Group. “Figuratively speaking, we are putting ourselves in our customers’ shoes and then developing process steps with recycling equipment offering benefits for customers,” says Patrick Lindweiler, Product Manager and Key Account Manager in the Waste Treatment and Recycling division. The STEINERT staff are concentrating on the applications of “sorting post-consumer packages”, “plastic recycling”, “sorting household waste”, “sorting commercial waste” and “cleaning green waste”. In the last instance, the RAL quality assurance method for green waste and the German Fertiliser Ordinance have become essential reading for STEINERT staff. 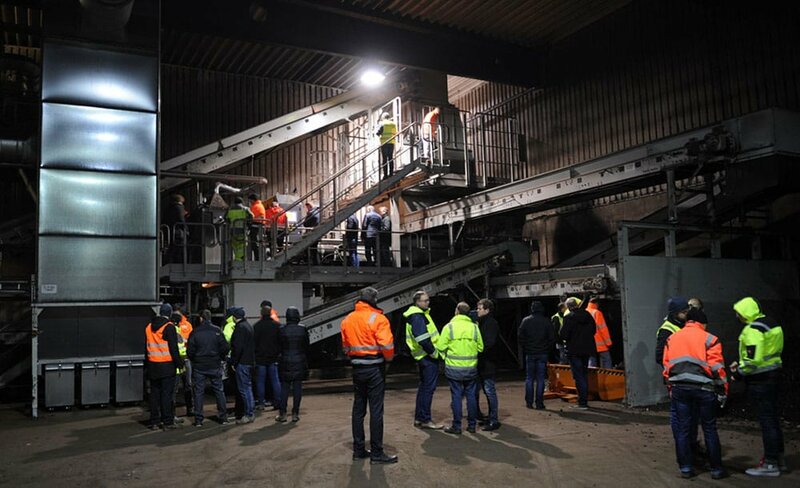 At the start of the year, an in-depth understanding of green waste treatment resulted in the installation of a UniSort Black at KDM GmbH in Ratingen. 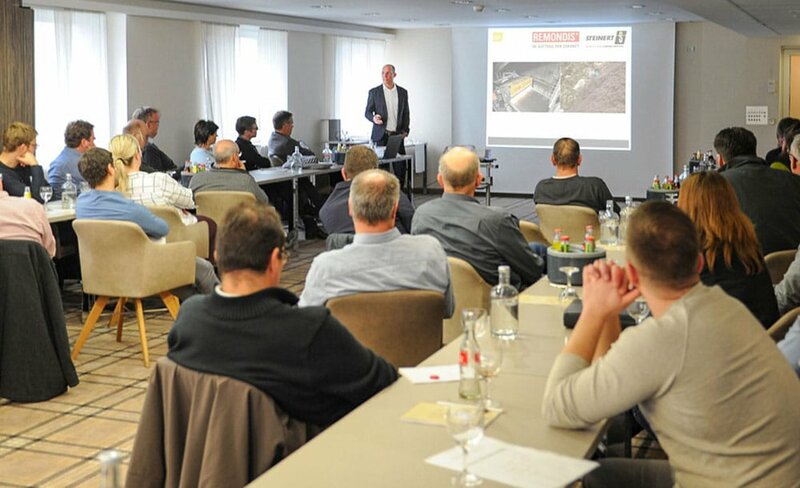 The application for managing contaminated bio waste was on the agenda at the Remondis management meeting, where Patrick Lindweiler and Ulrich Laemers (Managing Director of KDM) shared their experiences with the entire group. Senior members of the Remondis Group’s management team were therefore able to have questions about their own systems answered directly and appraise for themselves the benefits of UniSort Black in treating green waste. STEINERT is thinking outside the box for its customers. And just like the technology leader both at home and abroad, its customers around the world are starting to act. It’s essential to apply what works in Germany to international markets but customisation and familiarisation with those markets is always needed. While developments in German waste treatment often result from legislation, there are other causes in other countries. After all, the range of developments and changes in material treatment is vast. In the area between national requirements and technical developments in magnetic and sensor-based separation, it is our job to be a competent provider of solutions for customers.